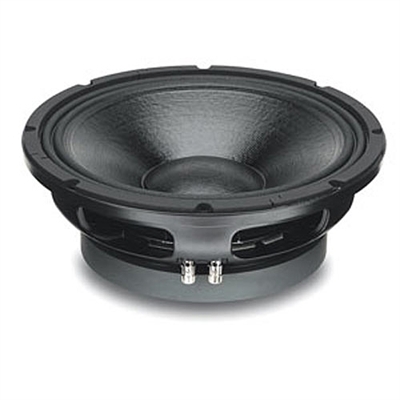 The 12MB1000 is a very high performance 12" ferrite midrange driver. It offers high power handling capability with exceptional sensitivity over the middle frequency band. It can be used with either direct radiating or horn loaded applications, as well as part of a 2 or 3-way system. It is ideally used in stage monitor, auditorium, touring and outdoor systems. The 12MB1000 is the result of an intensive development program which aimed to produce the best 12" midrange driver possible. The smooth curvilinear paper cone has a special high strength wood pulp composition designed to achieve the best possible linearity within the middle frequency range and to control bell-mode resonances around the cone. The cone is carried by a double half-roll suspension, which is more resistant to aging and fatigue than traditional materials, and provides the correct dampening and excursion control.